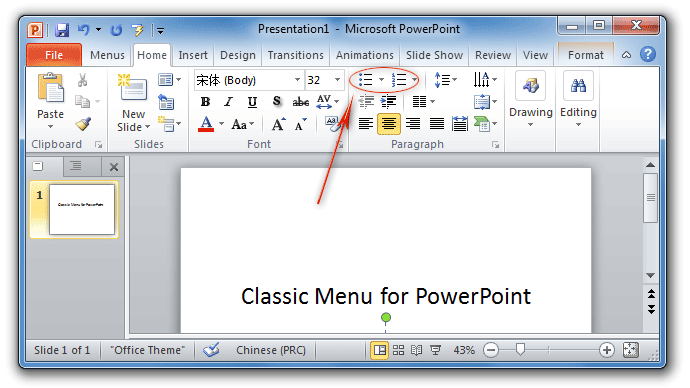 Classic Menu for Office will bring you back into the world of PowerPoint 2003, and show PowerPoint 2007 or 2010’s features in classic view with old menus and toolbars. There are two methods to get Bullets and Numbering feature if you have it. 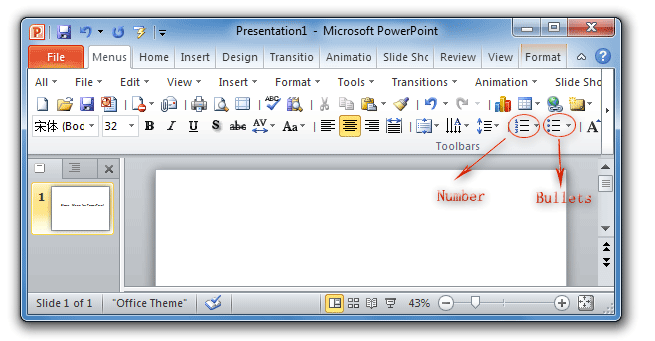 If you have installed Classic Menu for Office on your computer, you can get the old toolbars of PowerPoint 2003. In the old toolbars under Menus tab, you can get the Bullets button and Numbering button. 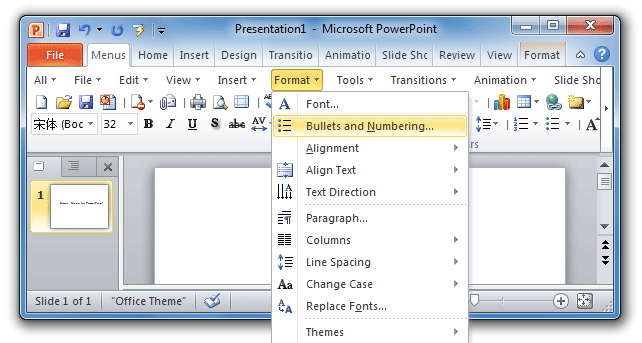 The second item of Format drop down Menu list is Bullets and Numbering…. Then you will view the Bullets button and Numbering button.